This is to be the first post of a few over the next week, covering the Historic weekend at Donington Park…..
Old cars, all of them older than me, being driven hard, around one of the best tracks in the world with great views of the track, open pits, ability to get in close to look at cars….and if you have a way with words, ability to get inside some iconic driving seats. What’s not to like? 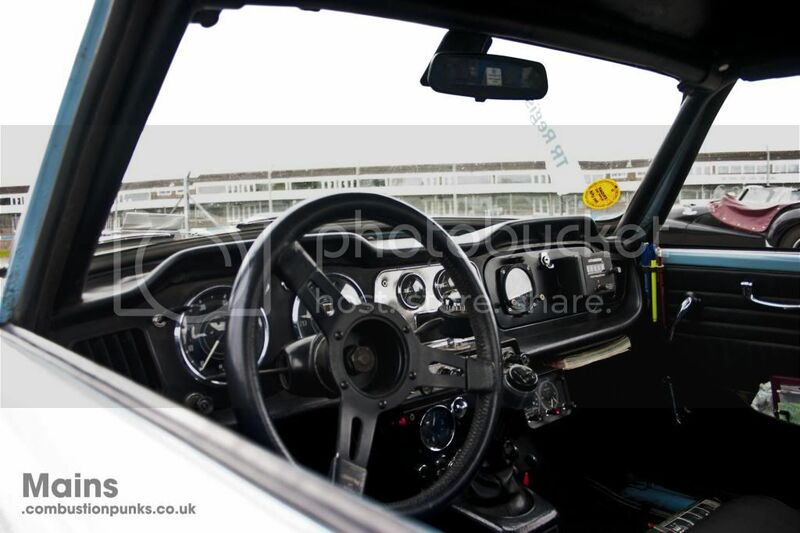 At the wheel of a type 22…..A la Jim Clark. So, firstly I’m showing this. 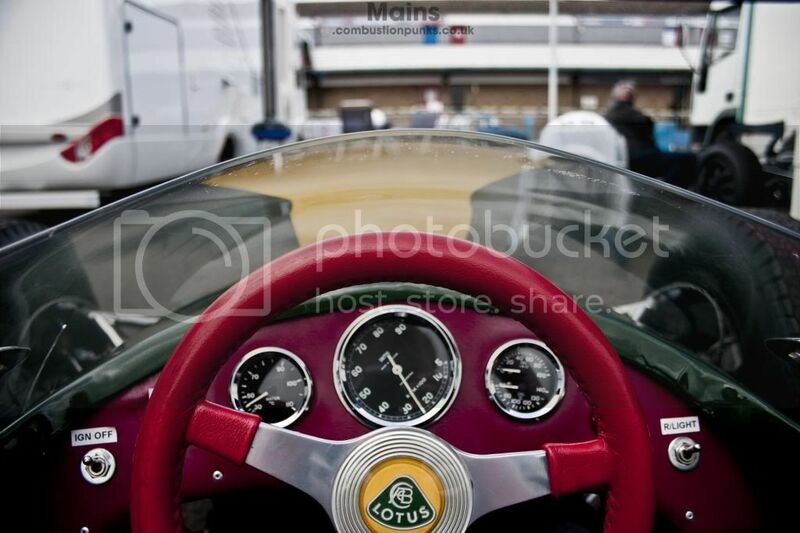 Probably one of the best things I’ve ever done, after surprising the owner by correctly naming the model of his personal Lotus Formula Junior Type 22, we got to talking, finding that this car was actually originally a Type 20 but was converted by lotus in ’62 to compete in the following season. This essentially consisted of changing to a cantered twin cam engine and disc brakes all round. After some discussion I was offered to take up position in the car, to see how I’d fit…..and oh my. it might look tiny from the outside but once you sit in it….the want to drive appears, and it doesn’t feel small at all. The best thing about this car though is the details…. All the parts to the car are incredibly precise, and all as would be in the 60’s (albeit some minor adjustments to some known parts prone to failure) Adjust-ability is huge in these things, but to keep weight down the body and static parts have to have minimum clearance of parts…the brake line for instance, is designed to just dodge the upper balljoint, and it does so under load very closely. This TR4 was one of the first cars I came across when I arrived in the club area, with it’s interior obviously giving you an idea of what it’s used for when not driving to events like this….pretty much the perfect time trial car, fun, powerful engine, short wheelbase, and full of timing gear…..and a handy couple of pens. 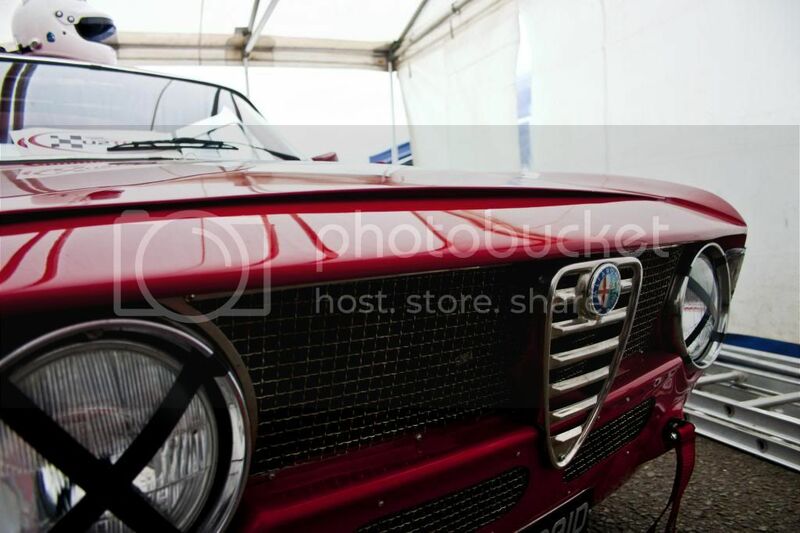 A personal favourite marque of mine is Alfa’s, I have an addiction to the damn things. Always gorgeous looking cars, with fantastic sounding engines and nippy handling characteristics always makes them a joy, so seeing so many in one place makes me happy, especially when I know they’re racing probably one of my top 10 greatest cars of all time…..the Lotus Cortina of the same age, with similar driving styles, a guarantee’d tail happy race with close battling. More to come….including the infamous Group C Le-Mans monsters. 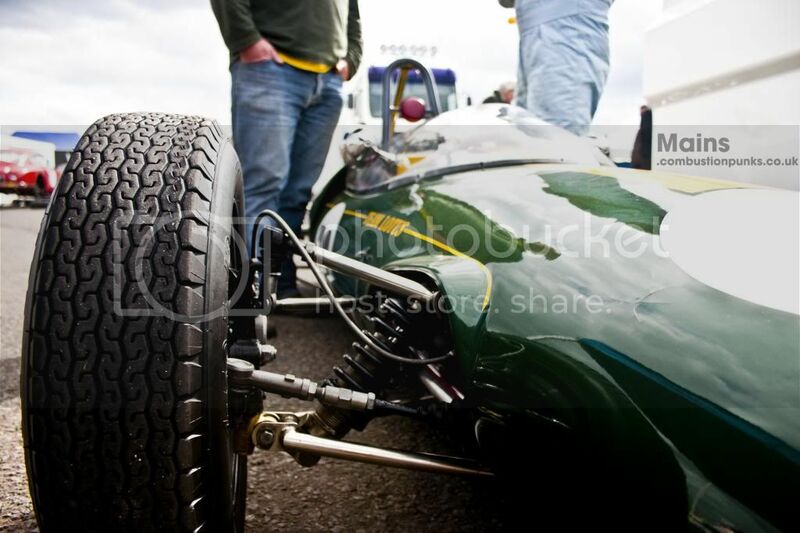 Donington Historic – Part Three!